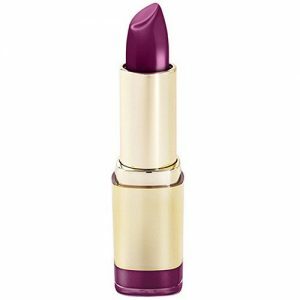 Milani Cosmetics has one of the best and largest lipstick colours. The colours are vibrant and they instantly transform your look after application. The lipsticks are also affordable and readily available. Wearing any one of the Milani cosmetics is also the best way to make your presence noticed. The lipsticks are not only good as drugstore products but as your everyday lipsticks. The lipsticks are creamy and smooth and leave you with a captivating matte finish. They smell sweet, last long and have excellent moisturising effects. With just one stroke of any of the Milani lipsticks, you get a full coverage application and a great finish. Milani color statement lipsticks come packaged in beautiful gold casings. The bullet-like packages are very attractive to look at and one would assume that they lipsticks are very expensive. Majority of the lipsticks feel creamy and they all have a matte finish. The lightweight lipsticks contain nourishing vitamins and are parabens free. They are easy to apply for both professionals and non-professionals. With the wide range of colours, it sometimes gets hard to choose which one is best for the skin tone. However whatever choice you go with, all Milani lipstick colours compliment every kind of skin tone and they are wearable for all seasons. 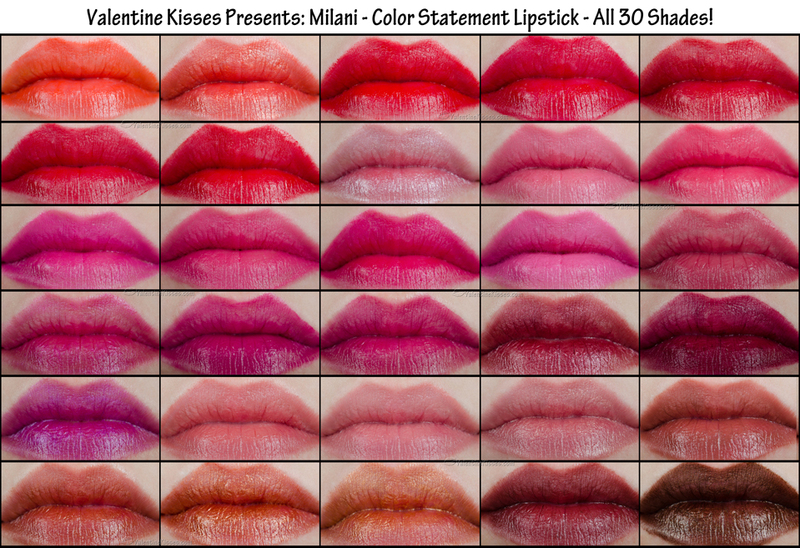 For a full review of some of the best Milani lipstick colours, read on. Milani Sangria is one of the most popular Milani lipsticks. 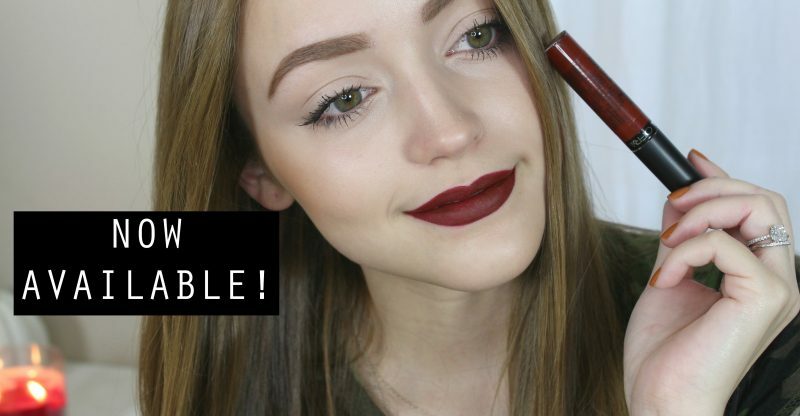 The lipstick comes in a deep berry color and it is very good for every skin tone. It flatters the skin tone and lasts long after application. It glides easily and feels comfortable on the skin. It is also affordable and with just one swipe, you get an even colour of the lipstick. Milani sangria smells like watermelon jolly ranchers and leaves a matte look. With a rating of over 4 stars, the lipstick is a great choice and it is from a trusted company. It is easy on the pockets and it looks good on all skin types. Try it. Milani primrose is every girls dream lipstick and it delivers instant colour after just one swipe. Laced with Vitamins A and C, the lipstick nourishes and hydrates the skin and it goes well with all kinds of skin tones. Milani primrose comes packaged in traditional style bullet packaging in a gold casing. Like all the other Milani products, it looks more expensive than it does. The shade of the lipstick is mauve pink and it is great for all seasons. This is another great product from a trusted company and a great wear for all kinds of skin types. Milani Amore is an amazing lipstick with a beautiful colour. The colour is very vivid and the pigmentation is great. The lipstick lasts all day long and gives a matte finish that does not dry. It is a liquid striking red colour. It is slightly more expensive than the other lipsticks but that is because majority of the liquid lipsticks sell at a slightly higher price. The lipstick dries up fast after application. 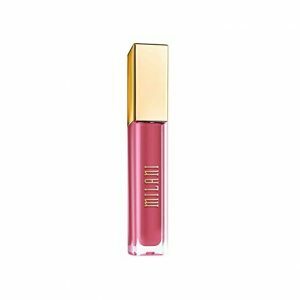 Many people are not very keen on liquid lipsticks but then this is a Milani product and one of the best in the market. The colour is sensational and you can choose from a wide range of many other different colours. Though some feel that it does not feel the same as wearing a matte lipstick, I would still say it is a great wear and you should try it.